How Far is RWD Grand Corridor? Ramky Wavoo Developers Pvt. Ltd was born out of the dream, vision and burning desire of a young person in his early twenties from Chennai. Ramky Wavoo Developers Pvt. Ltd takes pleasure to presents its residential project “Grand Corridor”, a place where you call it a home. All apartments have 3 side ventilation (open sides). % of common wall shared between two apartments is comparatively less. 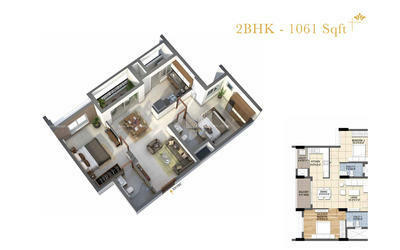 All apartments are Vasthu compatible with appropriate master bed / kitchen and range positions maintained in the design. With this wide range of sizes we provide the flexibility for the customer to choose a flat that best suits his requirement at a desired price. Club house is placed in the central wing at first floor with well landscaped podium on both sides. Climatically designed project with longer sides of each wing facing north and south which reduces heat gain of the building. Ample space between each block with view to the podium is a pleasure to watch. Staircase/ lift cores and refuge terraces are well placed to best serve the safety and comfort standards. Each wing has 10 apartments in each floor. Each wing is closed with two core access and running corridors from one wing to another is avoided for safety purposes. Terrace area is well used as well landscaped walkway, which could be community space as well. Maximum covered parking facilities and open parking facilities around the site periphery, serves the parking requirements. The approach corridor is 520’ long which has well landscaped park on both the sides, which is the best feature of this project. The project has the required offset or distance from the very busy P.H. road, wisely kept away from the pollution issues. Two sky bridges on the terrace floor connects the 3 wings of the main block. This is an added beauty and of course a view point station to get the aerial view of the city surroundings. Very competitive price and that that the buyer may not have a second thought to join this high rise community. Infact the best investment in this zone. With the infrastructure developments around this location, this project would be the right choice for a dream home. Its nearness to the city is impeccably the right reason to land up here for a dwelling. ‘Every venture begins with a relationship and every relationship is built on trust’ - Since the inception in 2006, RWD is striving on the above quote and building their name for the betterment of the people, they believe in building a strong relationship with the people and making it stronger by providing them the best of what they can serve. The functions in RWD are being conducted on the basis of the strong principles and stringent quality standards. RWD has built a strong and renowned name in Chennai and their work has gained them the trust amongst the people, for providing them with the standard quality and phenomenal developments that are unmatched. 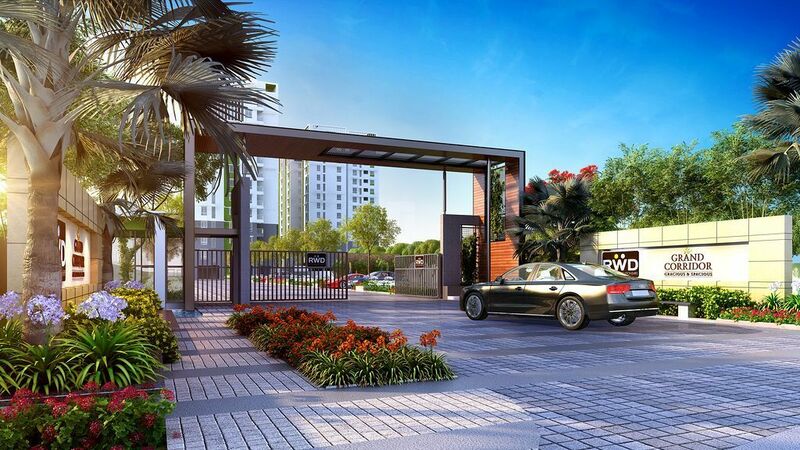 You can see their development in Nungambakkam, Chennai, which is one such meticulous project known as RWD Atlantis and it offers ready to occupy flats in Chennai. Other than this they have an upcoming project RWD Fern Dale in Egmore, Chennai Which offers 2BHK & 2.5BHK apartments for sale in Egmore, Chennai. It also has Ramky Ecopolis coming up in Kanchipuram, Chennai that offers plots for sale. It creates developments on the basis of uniqueness and value for money. The group strives on building new landmarks with innovative designs and architecture that stretches beyond today to the innovation of tomorrow.